If it ain't sloppy, it ain't no Joe! Oh, YEA! Squishy, soft bun is a necessity. 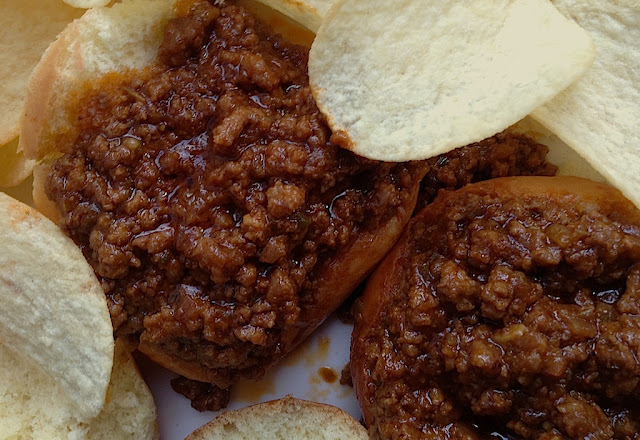 The "sloppy" is an indulgent, rich, smoky-burst of tomato-based barbecue flavor. Add some finely-chopped sweet onion! Even cheese! Or just go naked. Chips ... Of course! Note the rich mahogany color from adding brown sugar. 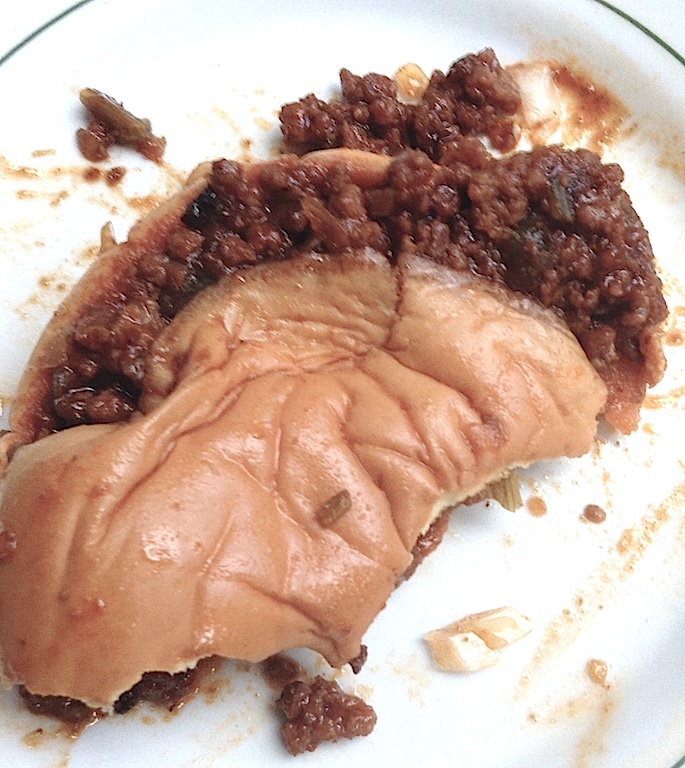 The rural, Midwestern, middle-school cafeteria where I taught for 14 years served up Sloppy Joe's I remember to this day! Often, they were served with "government-issue" sticks of yellow cheese. Good cheese, I might add. Or tater tots. 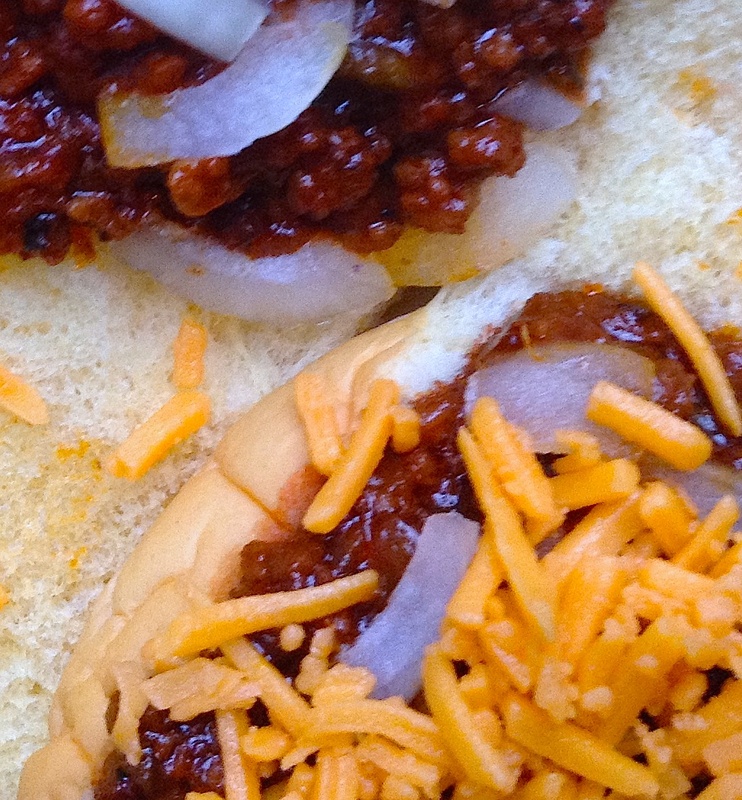 This recipe is based on that cafeteria-memory ... but with a bit more of an adult palate. 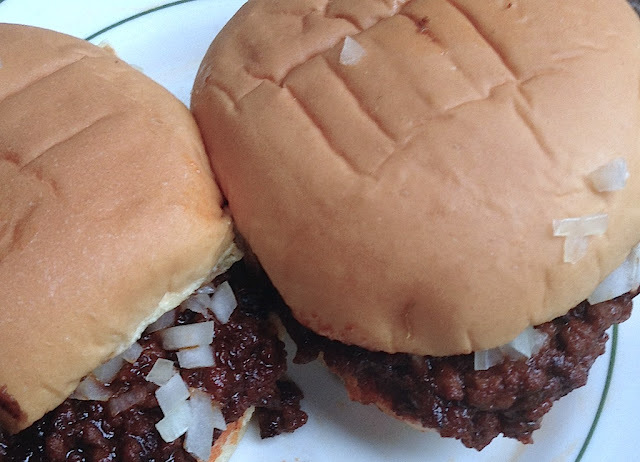 An authentic Sloppy Joe has well-balanced, complex flavors: A rich vinegar/tomato base that plays against a saucy, smoky, brown-sugar sweetness. Just a bit of heat. 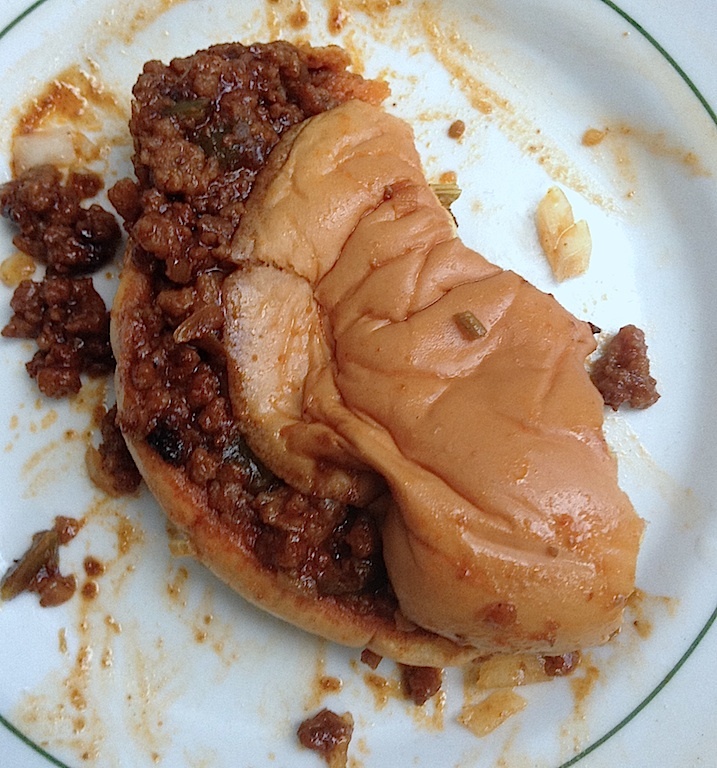 And of, course, it has to be sloppy! I've tried this recipe with: Ketchup. Barbecue sauce. Chili sauce. Taste test after taste test, I have settled on a forgotten, classic, American staple. Heinze 57 Sauce. I use the one in the glass bottle. I like a bit of heat, so I added one tablespoon of A1 Sweet Red Chili with Garlic Sauce. If you don't have that on hand, a few shakes of your favorite hot sauce should do the trick or use what I suggest in the recipe ingredients below. I have now made this recipe several times. Just today, I had a young associate who works with me at the grocery store try them out. He said he wanted to "lick the container." 'Nough said. The pressure cooker just does something to amalgamate all these flavors. Without a pressure cooker? Just slow simmer on the stove for an hour or so. Monitor the thickness. In the Instant Pot Pressure Cooker, saute fresh onion, pepper, celery, in butter and olive oil set on medium saute mode just until onion begins to brown. Add garlic and smoked paprika. Stir and cook a few minutes more. Add meat. Stir and incorporate until pink disappears. Add wet ingredients. Add mustard powder, dried onion. Salt. Pepper. Add brown sugar. Allow to simmer a bit. Taste. Re-season if necessary. Lock lid on Instant Pot. Set vent to lock position. Process 5 minutes. When time is up, use a natural release. When the safety button sinks, remove lid. Simmer on saute, LOW setting, 15-30 minutes uncovered, until desired consistency is achieved. Stir occasionally.